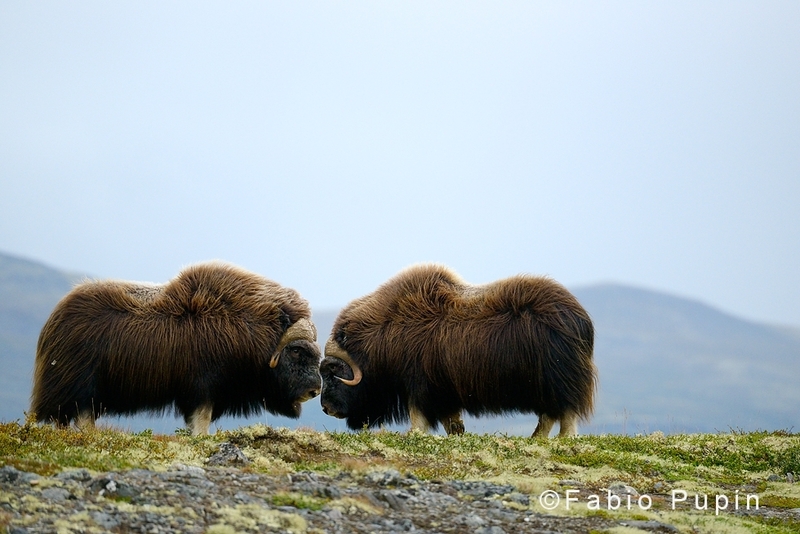 Mid August is the beginning of the rutting season for musk-oxen and the best moment to witness the breathtaking show of bulls fighting each other to win the privilege to mate. 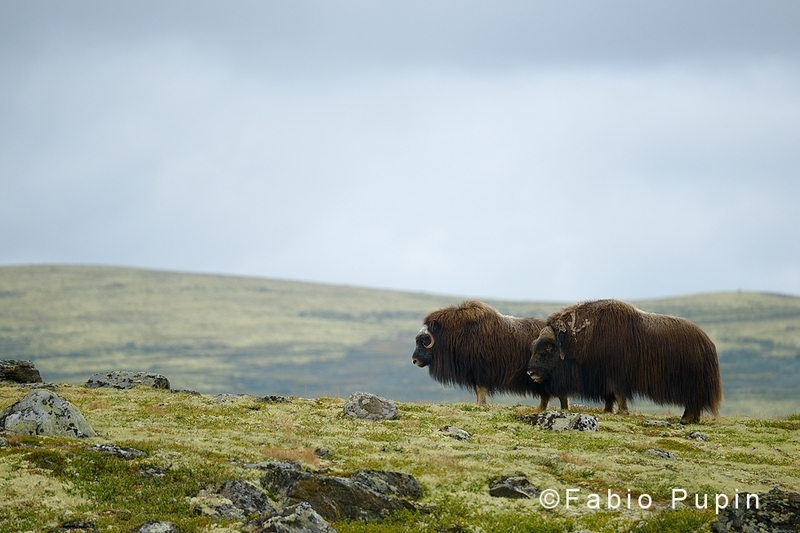 Musk-oxen (Ovibos moschatus) – which by the way aren’t exactly oxen, but closer to sheeps – are one of the few survivors of the Pleistocene megafauna and once lived all over the Arctic. 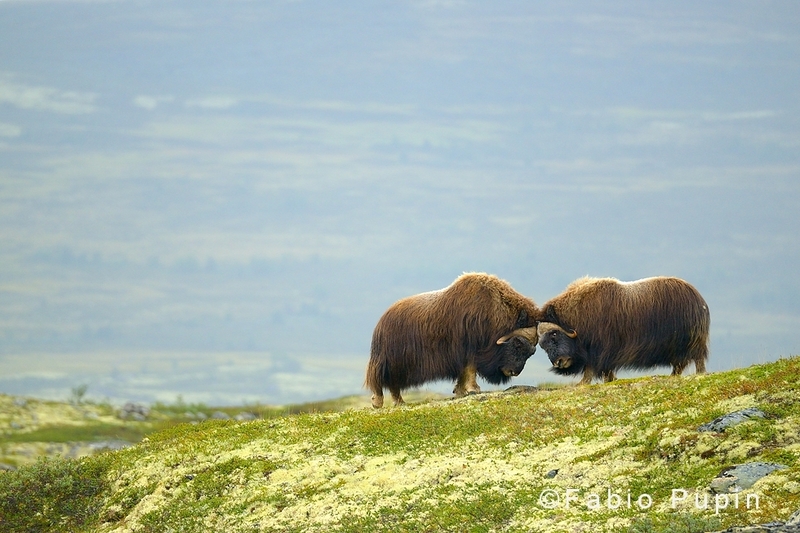 Today, they still roam the tundra in Alaska, Canada and Greenland and have been introduced in a few other places, in Siberia and Europe. 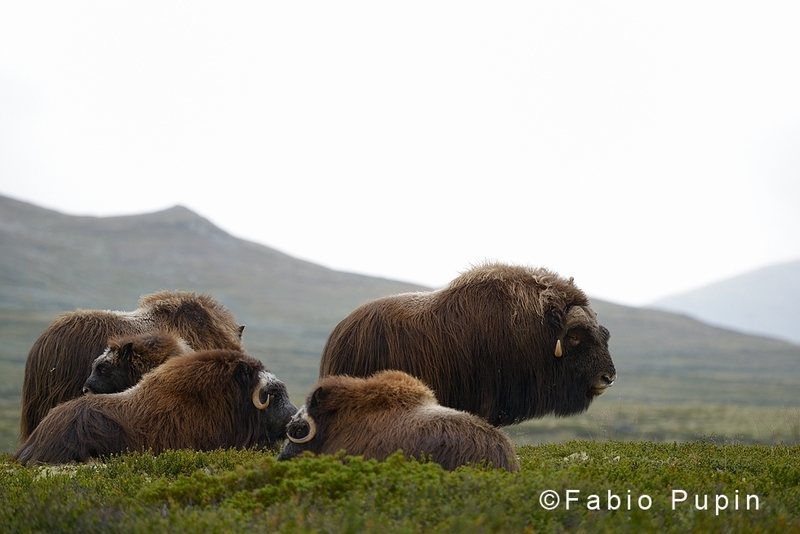 One of these places is Dovrefjell–Sunndalsfjella National Park, in Norway, a protected area established to preserve a rich alpine ecosystem, above all one of the few wild populations of reindeer and, since the beginning of the last century, the musk-ox. 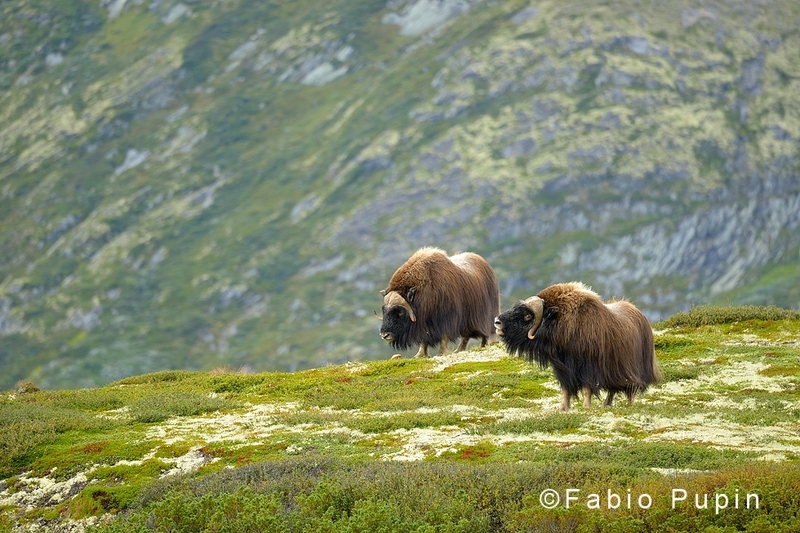 In the vast, gently slopes surrounding Snøhetta, the highest peak of the mountain range, musk-oxen are not hard to find. Those brownish boulders over there? Here they are. Though, it can be harder to reach them. 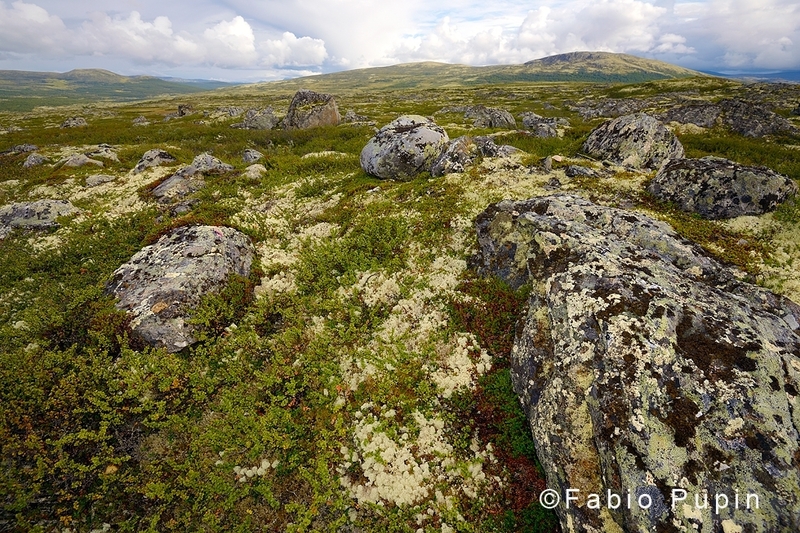 From distance, while they graze lichens, moss, mushrooms (they love mushrooms!) and leaves from the the few birches around, they seem slow. 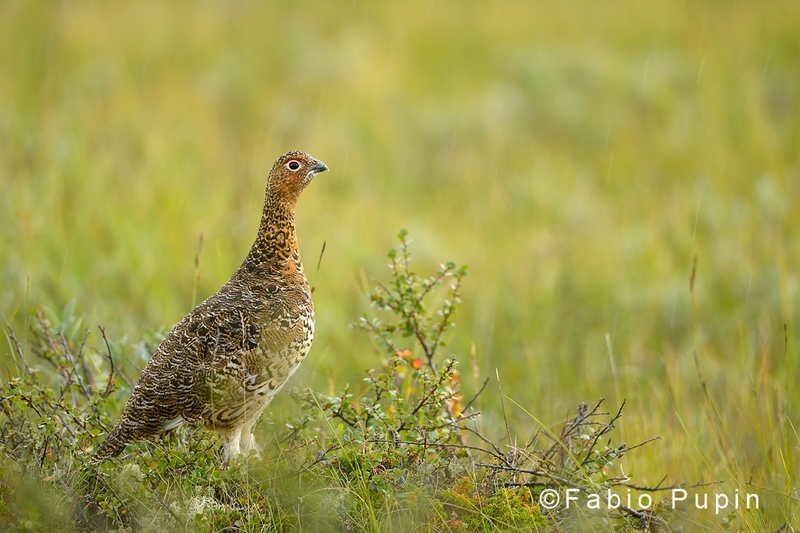 But definitively, they aren’t when running at full speed, which in the mating season is not a rare sight. Dominant bulls start to harass cows, which often run away, chased by their excited pretender. And dominant bulls are challenged by rivals. When a male gets too close to a herd of cows, the battle begins. 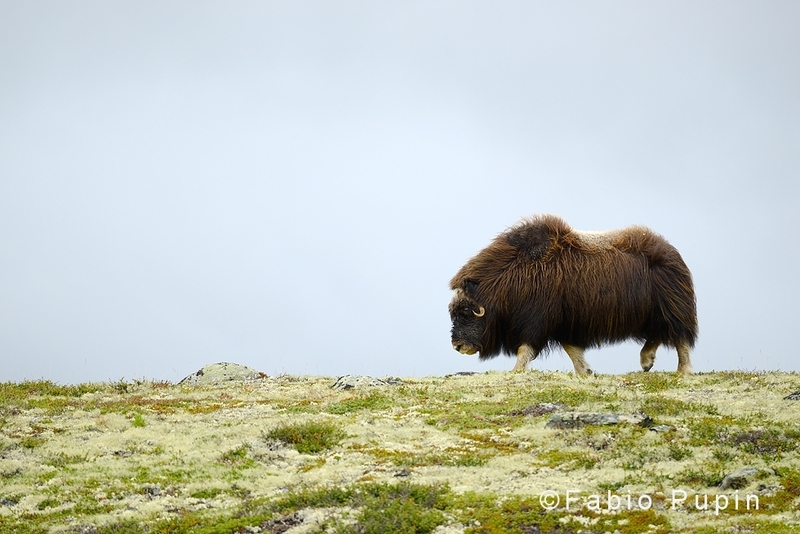 We decided to follow a large herd, leaded by an elder, massive bull. We nicknamed him “the Lame”: he was apparently in the final season of his reign, had a broken horn and seemed to walk with a limp. We were confident that Lame’s age and big herd were not going unnoticed by other bulls, and we were somehow right. 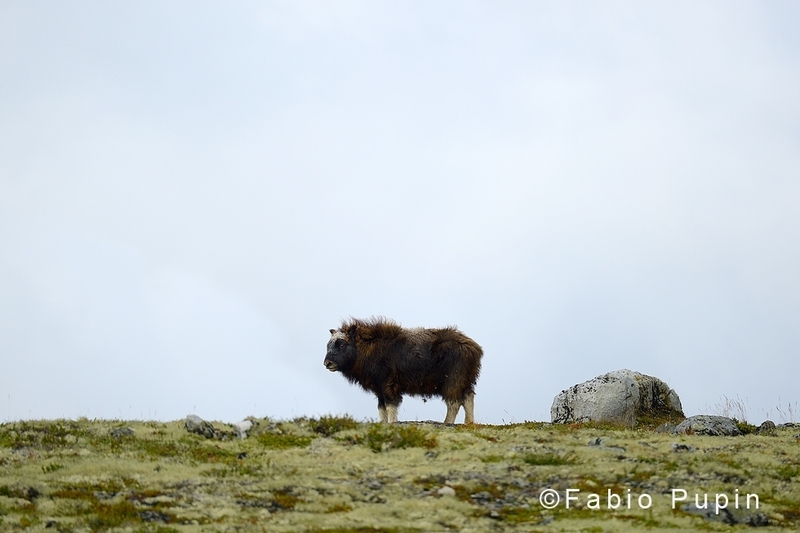 One morning we saw a pair of younger males moving straightforward to the herd. Lame was a few hundreds meters away, not aware of them. 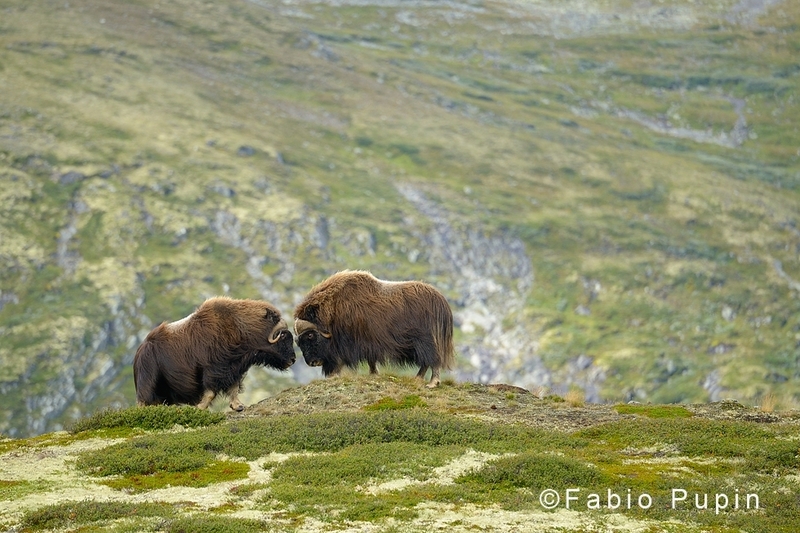 The two males started to fight each other close to the cows, who scattered away. Lame moved towards the fighters, and well…he was not lame at all. He was as fast as hell, and much bigger than those poor guys. He simply exploded between them, literally scaring them away like kids. After a few days still following him, we decided to quit and find another herd to follow, he was clearly too strong for any other male passing by and not a single one even tried to dethrone him. 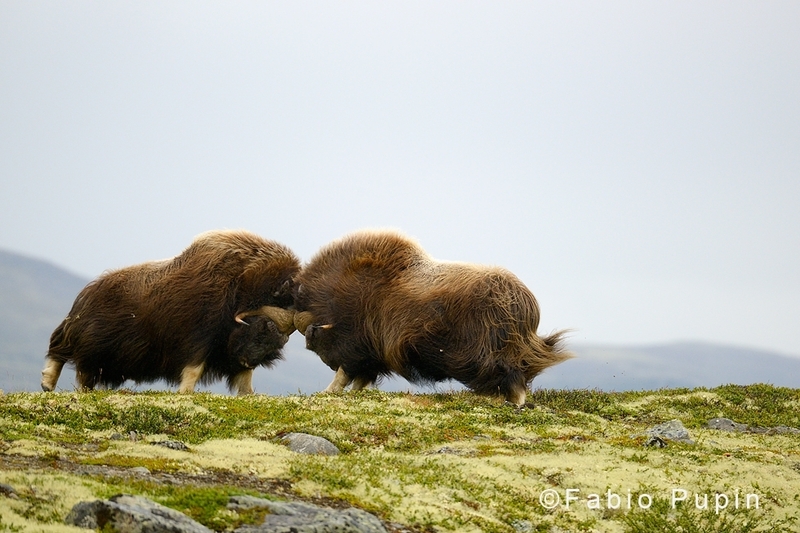 At last, we moved to other herds and we had the opportunity to admire a few proper brawls. When we left the park, Lame was still guarding his large herd, undefeated. 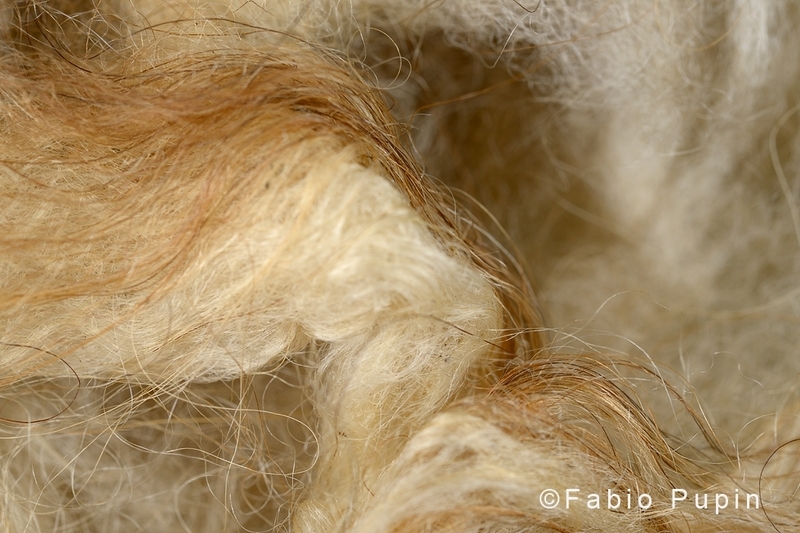 Thanks to Chiara Cantaloni, Mattia Dori and Ana Rodriguez Prieto.